Turning vanes, the vertical plates, usually curved, mounted on either side of the chassis between the front wheels and the sidepod air intakes, first appeared on F1 cars in the early 1990s. 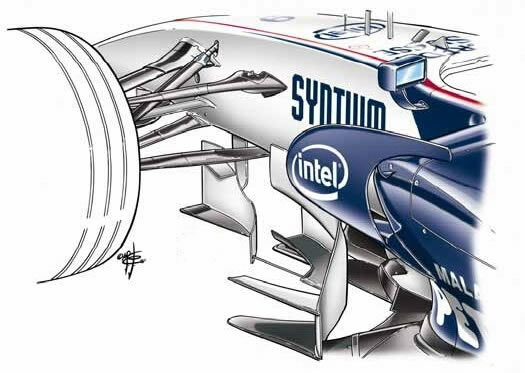 In the late 1990s and early 2000s, they became very complex devices, often with multiple elements, and during this period cars also sprouted turning vanes in various other positions around the car, such as on the edges of the sidepods and under the nose. 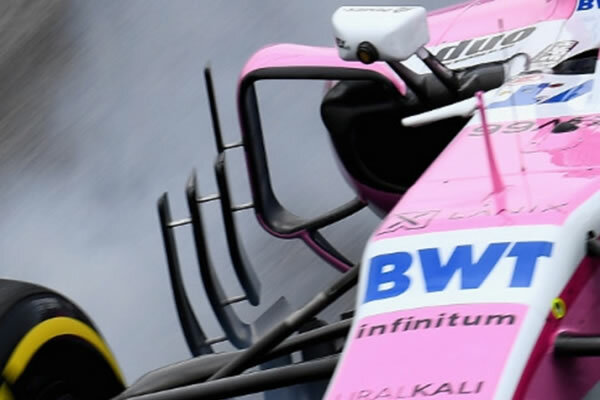 FIA regulation changes introduced for 2009 resulted in simpler turning vanes and restricted their positioning, but they are still important aerodynamic devices. 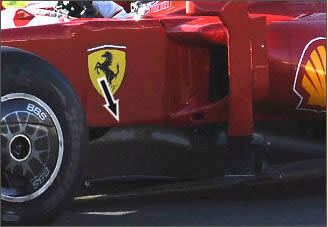 Turning vanes are so-called because they are designed to turn the airflow around the car. The turning vanes have multiple functions, but are used predominantly to help to control the turbulent wake from the front wheels, and to scavenge air from the front wing and under-chassis area, turning the airflow towards the sidepods, floor and diffuser. Barge boards or Turning vanes were once a primary feature shielding the radiator ducts from the turbulent wake of the front wheels, or so we thought. In recent designs, barge boards were replaced by complex vortex generators that direct vortex cores under the car with the aim of feeding the rear diffuser with high energy flow, and increasing the diffuser's effectiveness. It appears that traditional barge boards may have induced a similar effect but less effectively. Also, bargeboards are used to guide turbulent air from the front wing wake, away from the vital airflow underneath the car. In addition, the lower trailing edge of a bargeboard creates a vortex which travels down the outer lower edge of the sidepod, acting as a skirt or dam, helping to seal the lower pressure area under the car. With such techniques we can see continued use of ground effect in Formula 1. 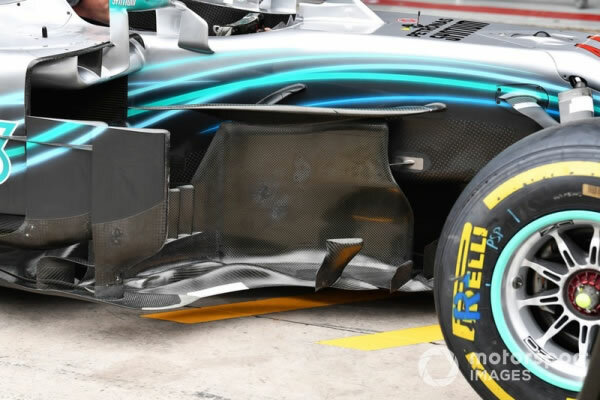 The 'barge boards', as they're unofficially known, are an aerodynamic device also used to slow down the air entering the sidepods - and therefore both the speed and quantity of air reaching the radiators and engine bay. 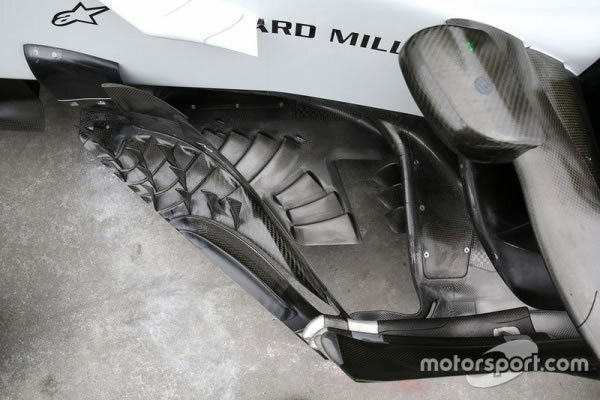 They also reduce the drag of the exposed sidepods. Despite various measures and rules changes from 2008 to 2009 to simplify the aerodynamics of current Formula 1 cars, teams are exploring all possible areas where some gains can be made. The area under the nose and ahead of the sidepods looks to be interesting for the car development because it is not that strictly regulated. So, bargeboards are still present in F1. 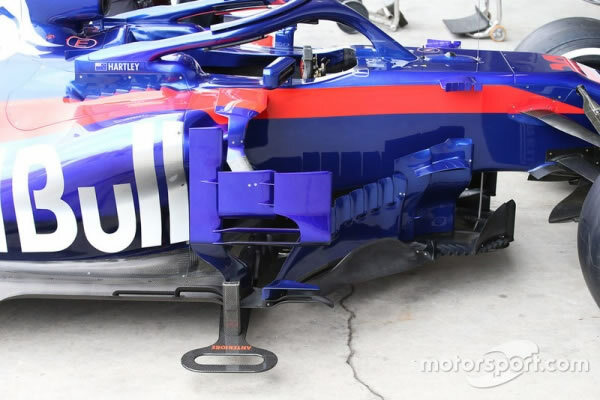 After aero rules changes during 2015 and later, area in front of sidepods get relatively free to develop and barge boards become a work of art. Very expensive to develop, very complex and sophisticated.